Being the mother with a daughter brings extra responsibilities. Setting a great role model is something very important to me. I also come from a line of strong Latin women, my grandmother, my aunts and my own mother. I have worked hard for things I have, even where the opportunities weren’t necessarily clear to me at the time. A strong work ethic and moral values are just a few of things I hope I can impart on my daughter. Netflix has some of the best original programming and features some fantastic shows depicting strong female characters and examples. The favorite in our house is Eleven from Stranger Things. Eleven saves the boys from trouble many times over and over again. This entry was posted in netflix and tagged #streamteam. 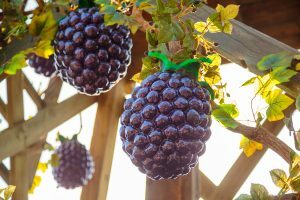 Next month, join Knott’s as it celebrates the flavorful berry that started it all, the boysenberry, during the much anticipated Knott’s Boysenberry Festival. For the first time ever, the mouthwatering festival is expanding to three weeks, April 1–April 23, with delectable food and drinks, and festive live entertainment. The 23-day food festival features over 70 one-of-a-kind boysenberry inspired dishes, drinks and more, plus foot-stompin’ entertainment, Wine and Craft Brew Tasting Garden, featuring boysenberry and wine, and family fun that everyone will love! Mike went to sample some of the offerings this year for the Boysenberry Festival, yesterday. 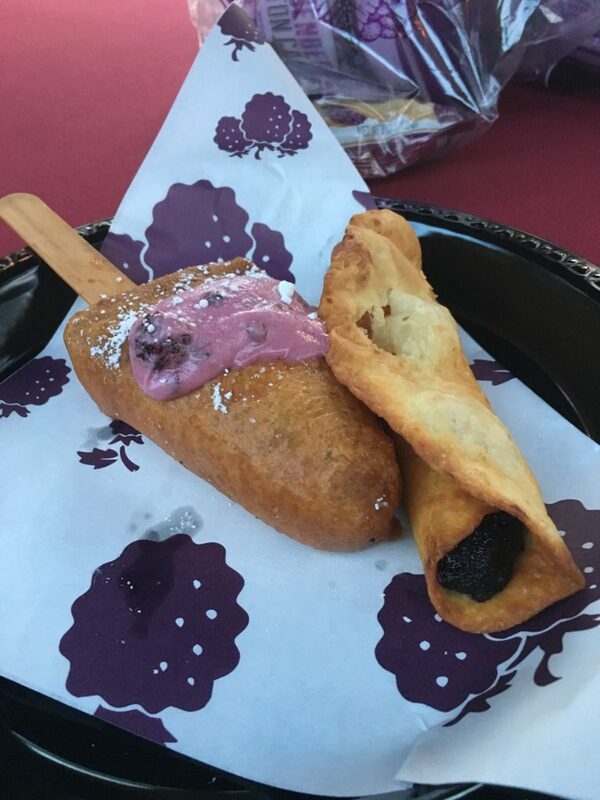 For 2017, the mouthwatering line-up of boysenberry inspired dishes will feature irresistible boysenberry pizza made with arugula and goat cheese (yum), the unforgettable and delicious new ravioli dish packed with boysenberry flavors (yum), freshly-baked boysenberry fry bread (yum yum) and lip-smacking corn on the cob with boysenberry butter and mayo (didn’t try it). Other must try items include crispy deep fried alligator bites paired with farm-made zesty boysenberry aioli (you can try it), finger-lickin boysenberry BBQ wings (yum), savory boysenberry meatballs (yum yum), sweet boysenberry cream soda (yas! ), creamy chocolate covered boysenberry cheesecake on a stick (yum yum) and many more delicious treats. Additional fee for tastings. 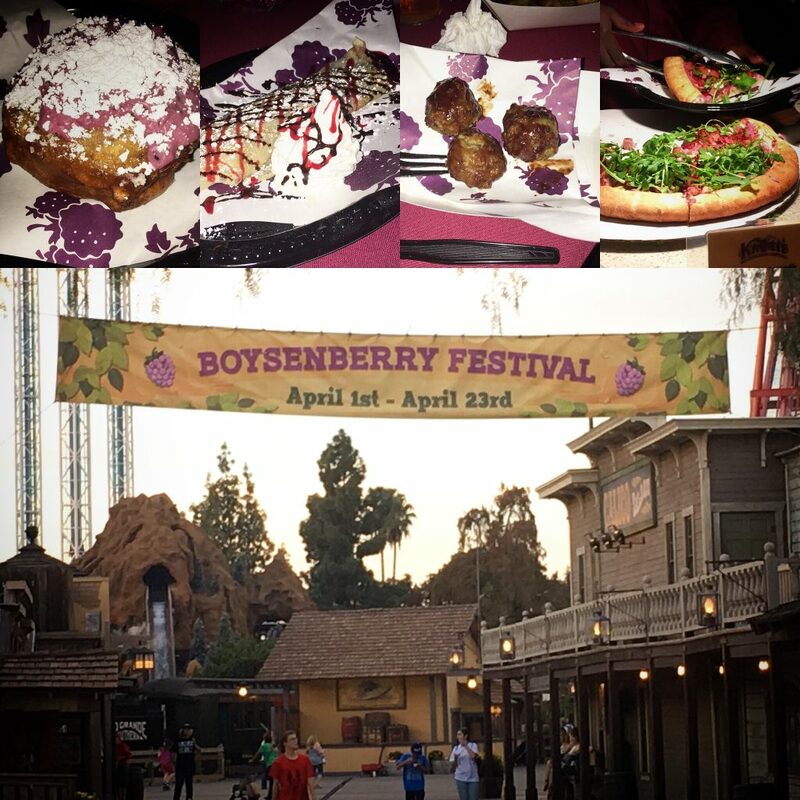 The Boysenberry Festival is included with admission to Knott’s Berry Farm, additional cost for food tasting experiences within the event. Knott’s will have extended hours, 10am to 10pm, from April 1 – April 23, allowing guests extra time to take advantage of all of the limited-time offerings. Join the conversation and share your day of boysenberry fun by using #BoysenberryFestival on Twitter and Instagram. For information about the day you plan to visit and available discounts, visit www.knotts.com, or download the newly updated Knott’s Berry Farm mobile app for your smartphone. This entry was posted in Knott's Berry Farm and tagged #BoysenberryFestival.